How many vehicles do you own? Are they equal or do distinct qualities differentiate which may complete a task better than another? A landscaper certainly prefers the capability of hauling supplies in a truck compared to the trunk of a compact car. Conversely, a daily commuter favors the superior fuel economy of the compact car to the truck. Understanding your financial objectives and pairing the proper retirement “vehicle” allows for effective means of completing the job. While the aforementioned vehicles all offer tax-deferred growth, critically understanding how and when taxes are applied take precedence. Traditional IRA’s and 401(k)’s generally offer an upfront tax break. For example, a person earning $50,000/year contributes $5,000 to her 401(k) she will effectively lower her taxable income to $45,000. 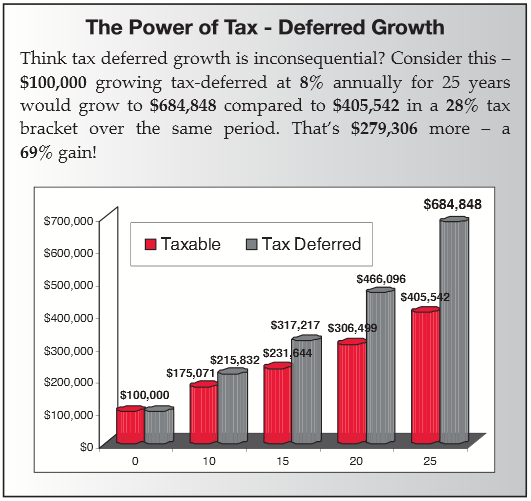 The tax benefit realizes immediately in this example. Now the IRS is smart, they won’t let you have your cake and eat it too. Once in retirement, or at least by age 70.5, a Traditional IRA account holder must begin withdrawing funds from the IRA which will be considered taxable income. Alternatively to Traditional IRA’s, the ROTH IRA tax benefit functions in the opposite. A contribution to a ROTH receives NO initial tax break, the tax relief occurs during retirement. Under certain conditions (click here for details) Roth IRA distributions are tax free. For individuals planning on higher income during retirement can strongly benefit from the Roth IRA vehicle. No requirement exists for mandatory withdrawals from a Roth, yet another reason to consider when planning. Ultimately the choice between tax savings now or tax savings later, determines which vehicle to pull from the garage. Alongside your financial advisor, a solid accountant can facilitate the decision of which option is viable for you.